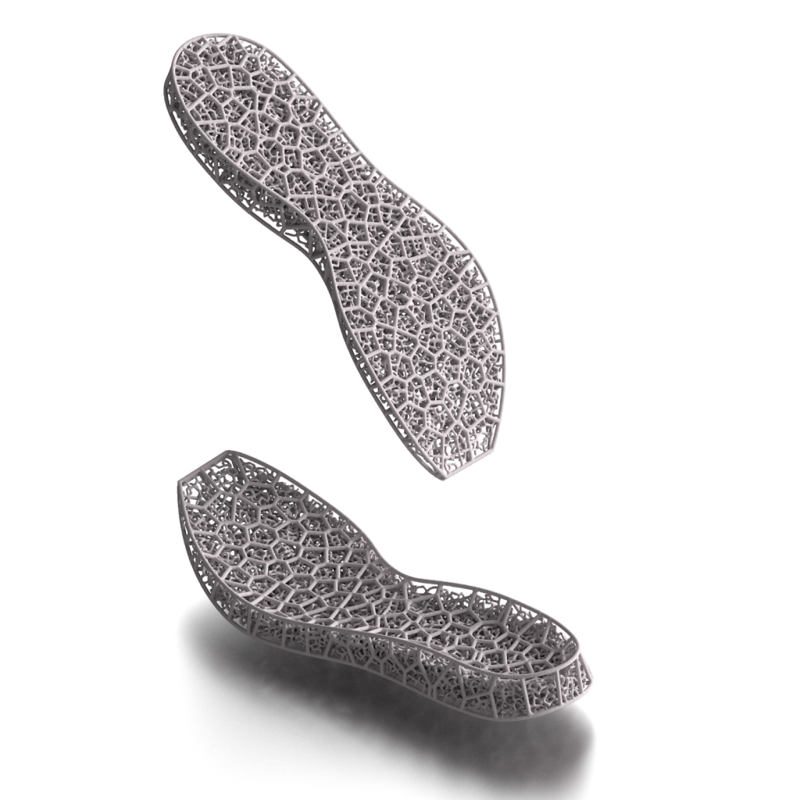 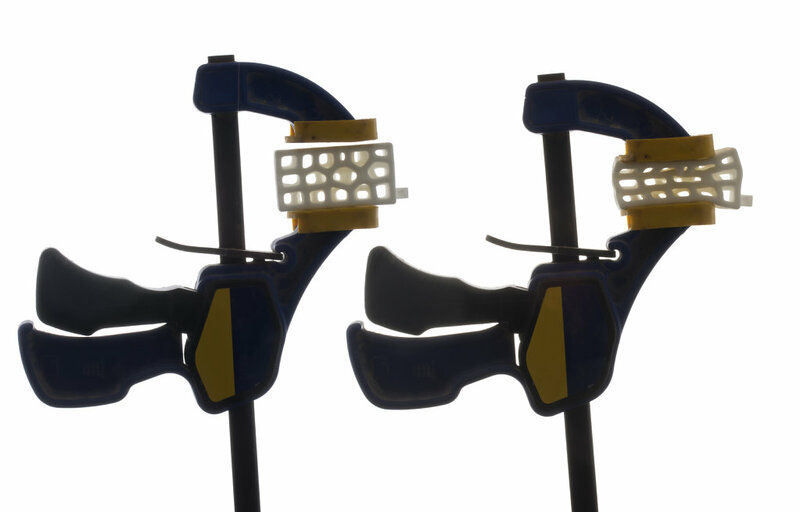 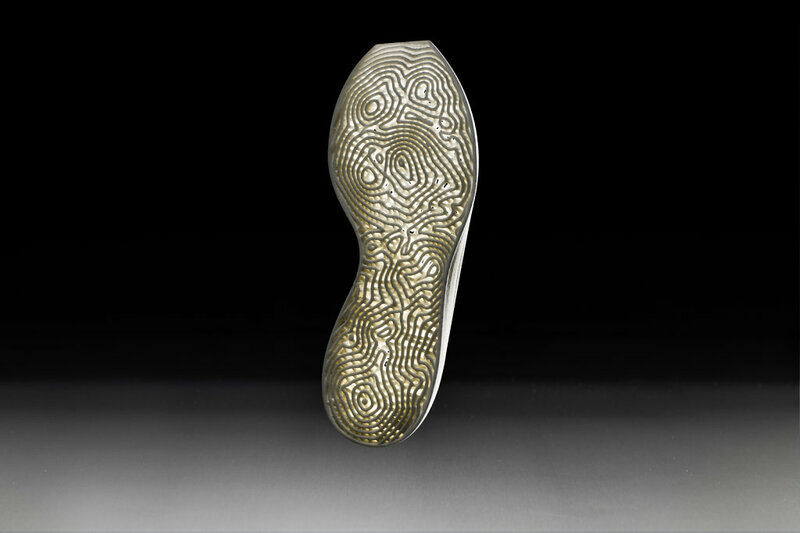 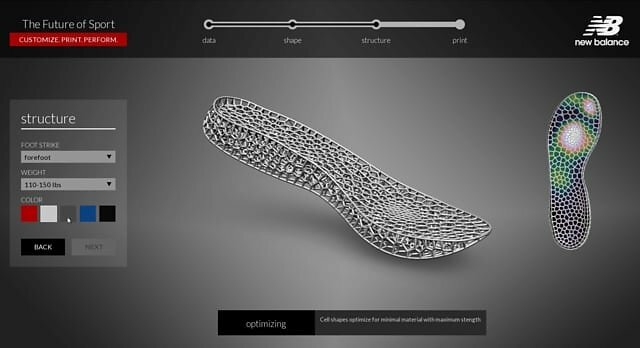 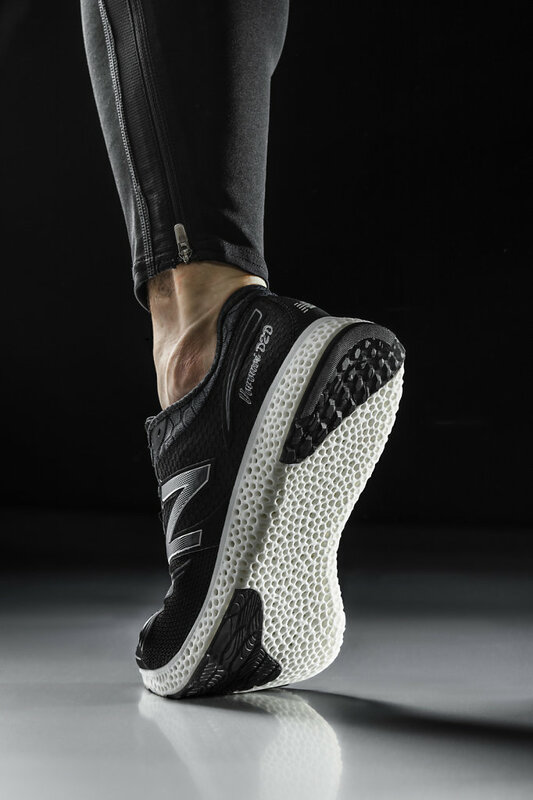 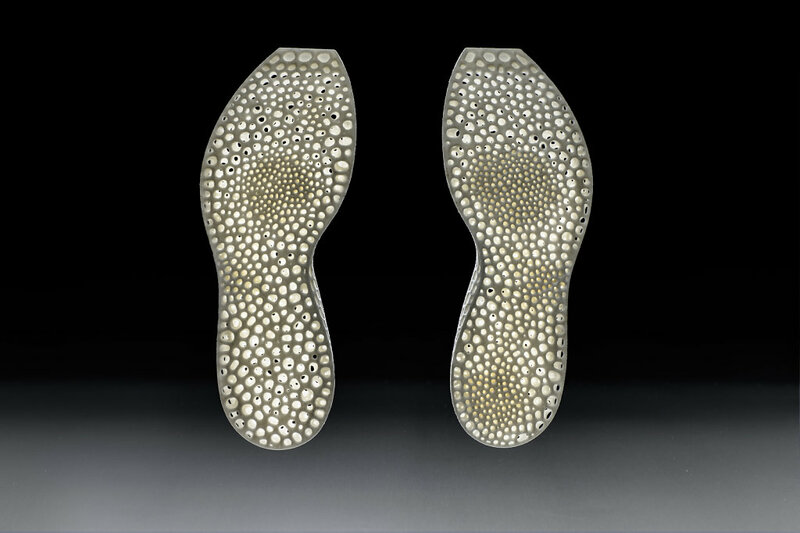 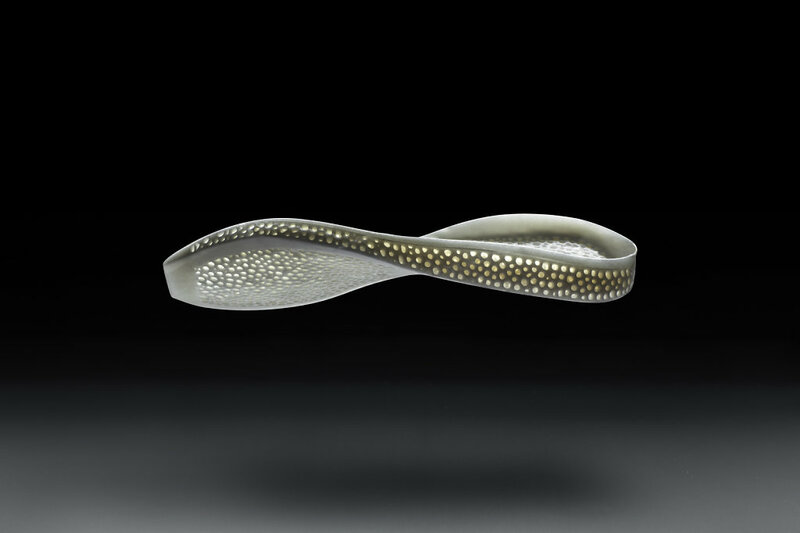 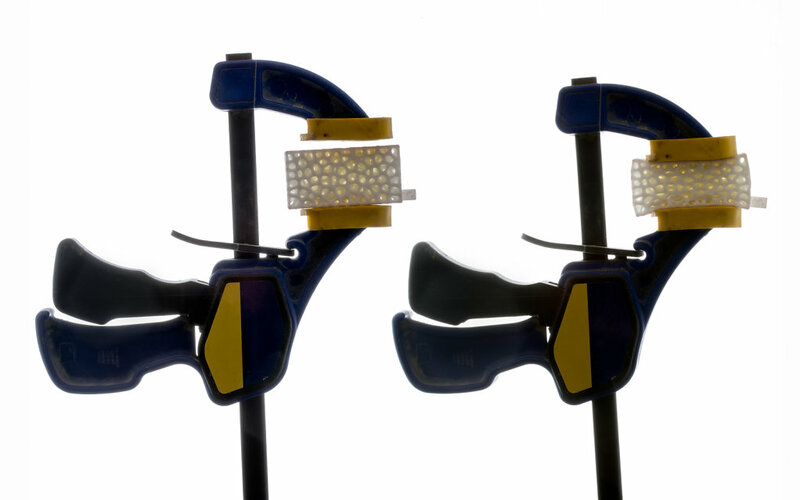 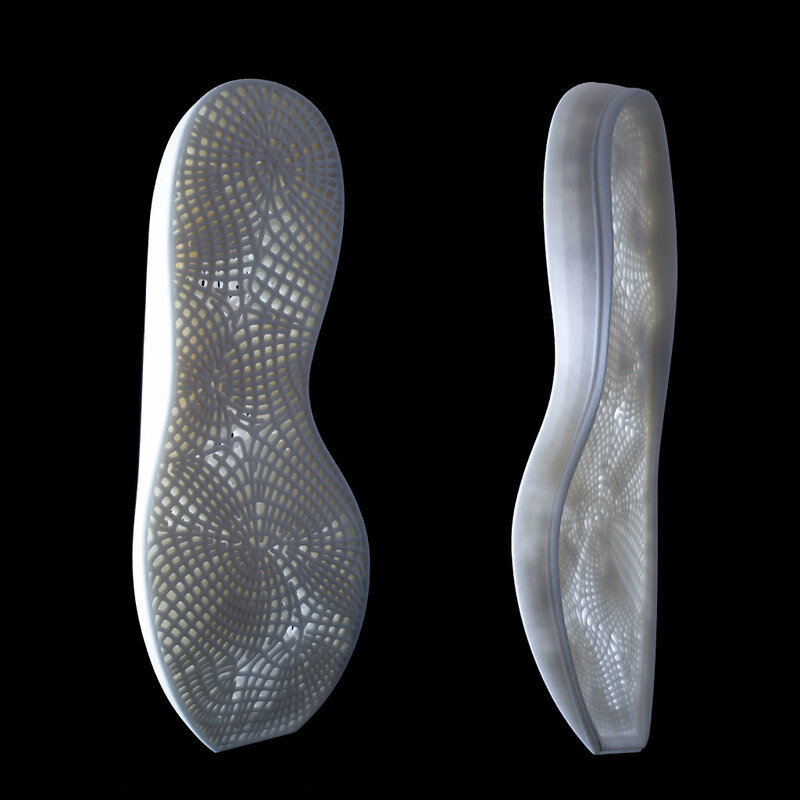 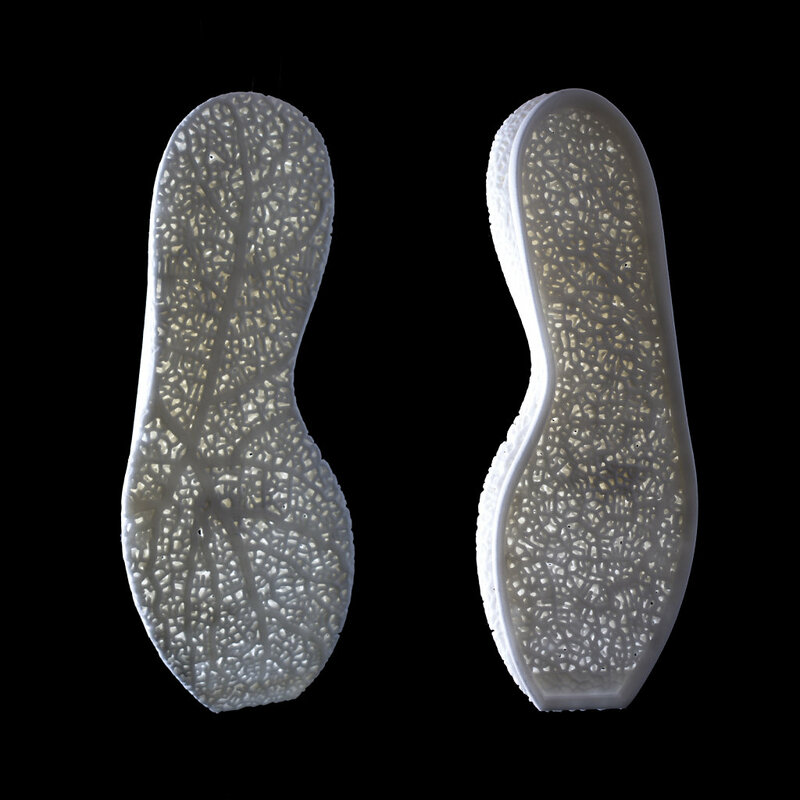 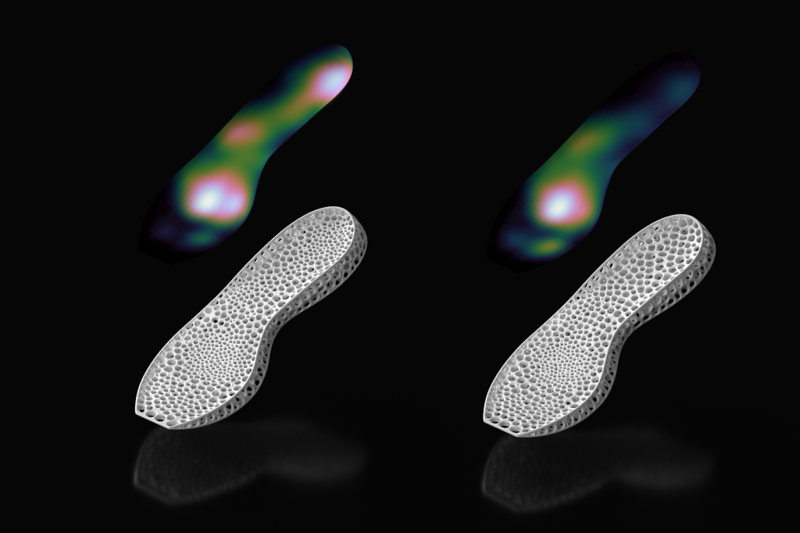 Nervous System is working with New Balance to develop functional 3D-printed midsoles for performance running shoes. 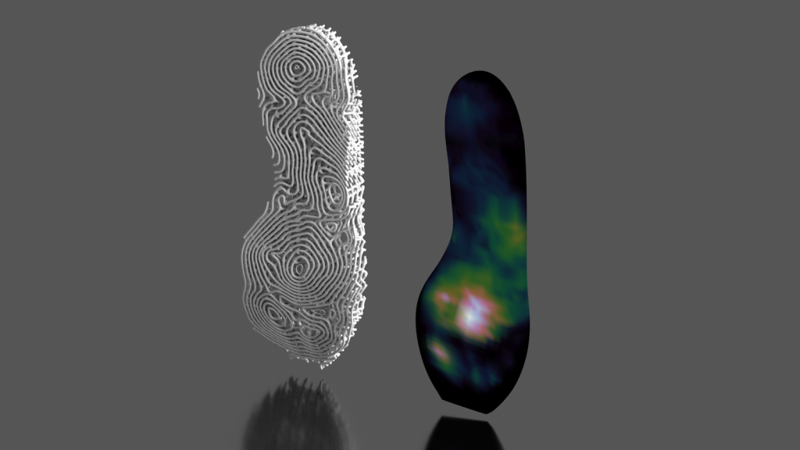 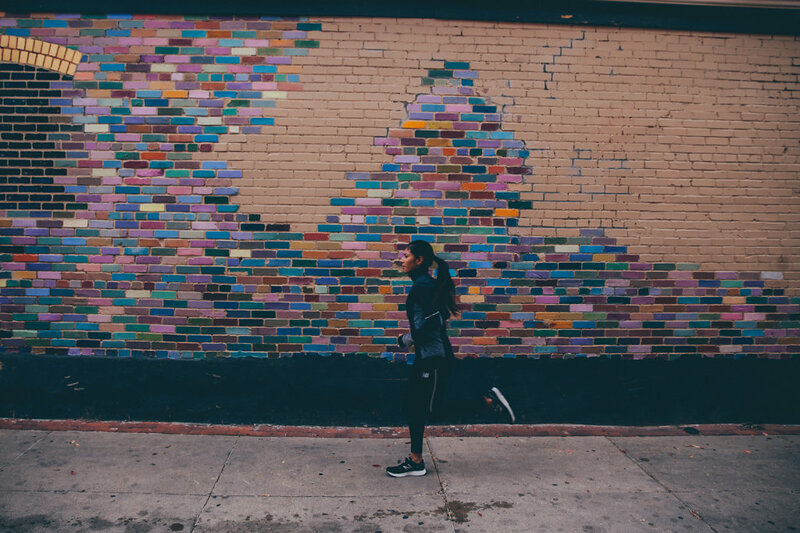 We have created proprietary systems to generate midsole designs from pressure data from runners, making it possible to create variable density cushioning that is customized to how a person runs. 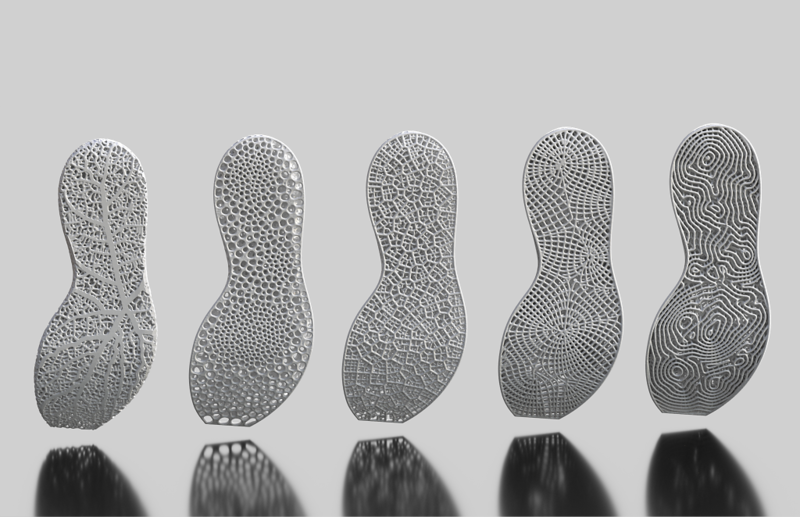 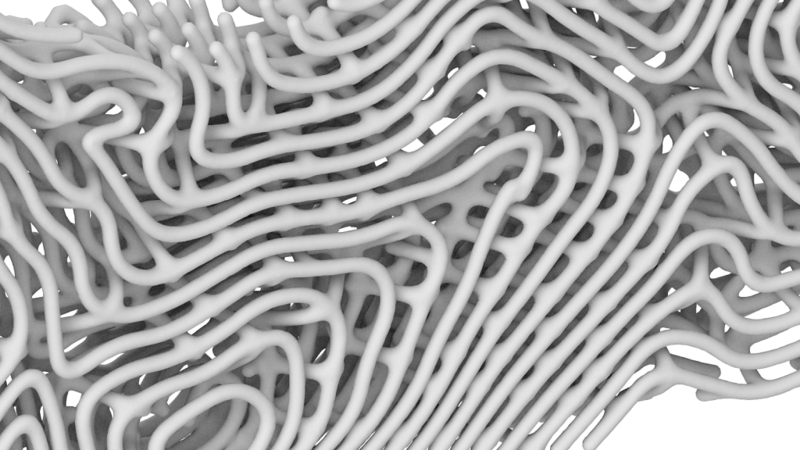 This ongoing project has given us a unique opportunity to apply our generative design techniques to a new domain. 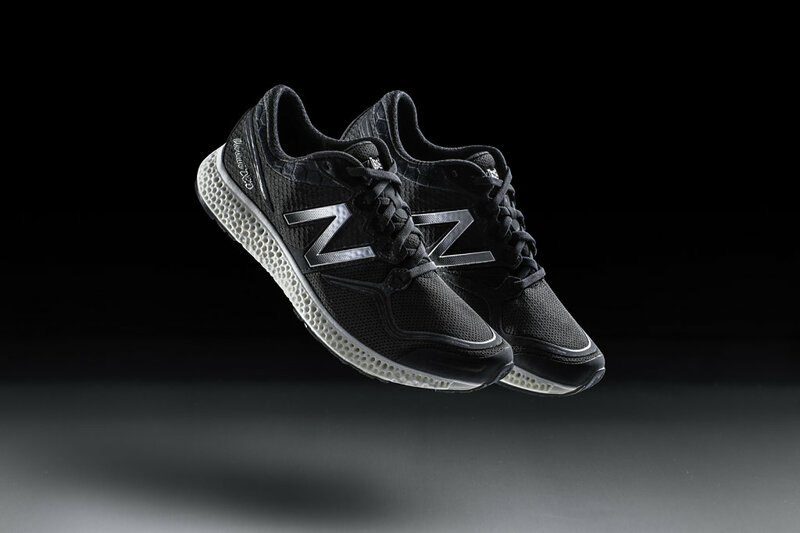 New Balance will start selling shoes with 3D-printed midsoles in April 2016, with a customized version to debut in 2017. 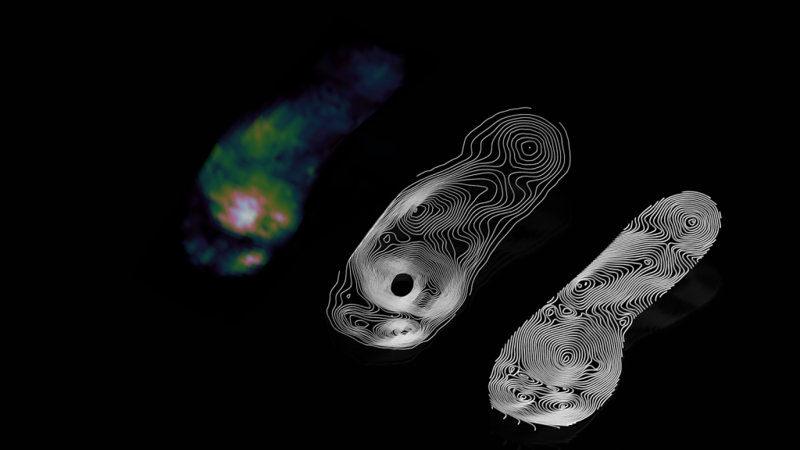 You can read more about that in our blog and their press release. 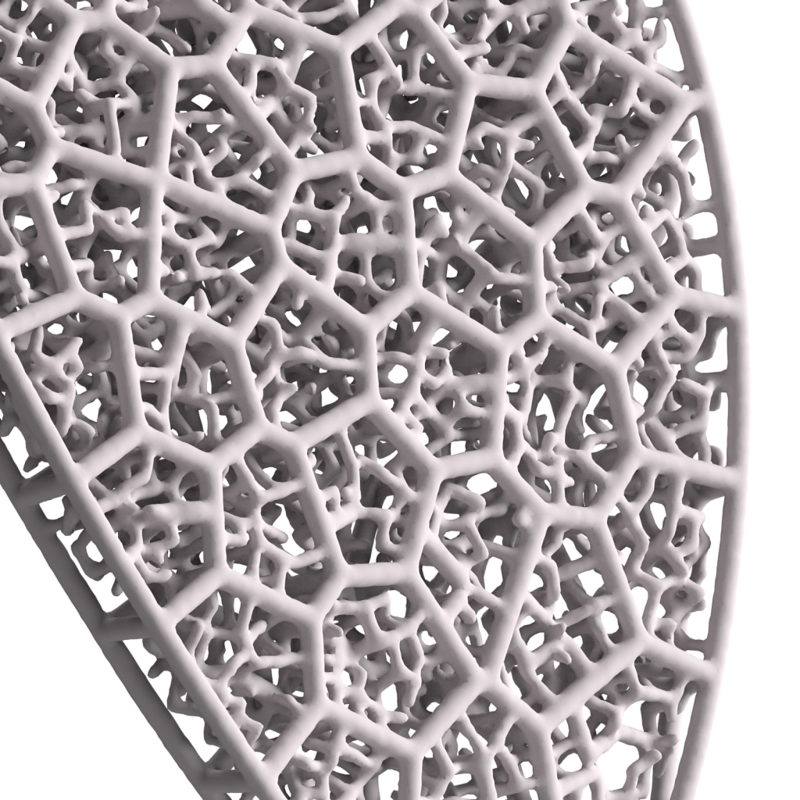 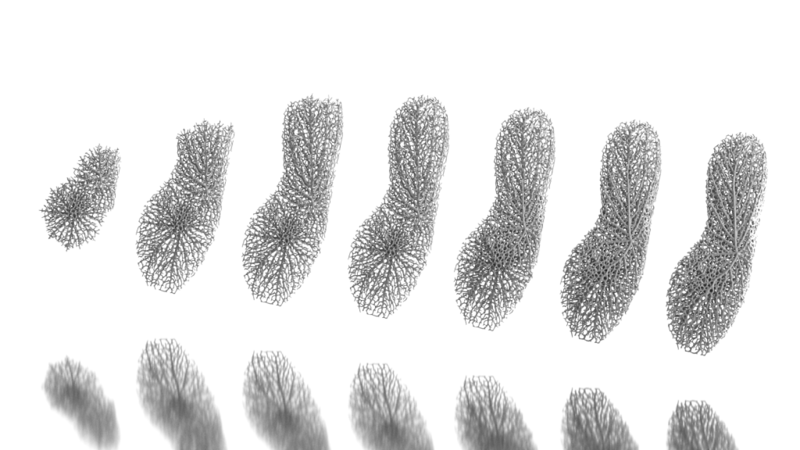 Another set of prototypes looked at growing more loosely interconnected structures based on our Hyphae system.